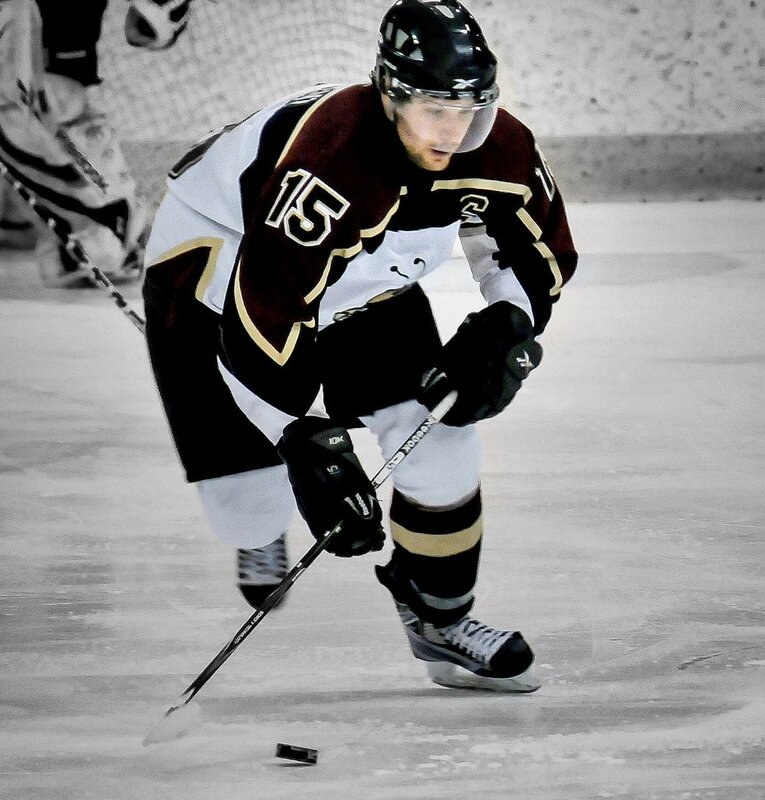 Sporting No.15 during his time as a Concordia Stinger, Marc-André Element, has kept the men’s hockey program in his life since his undergrad began in 2006. 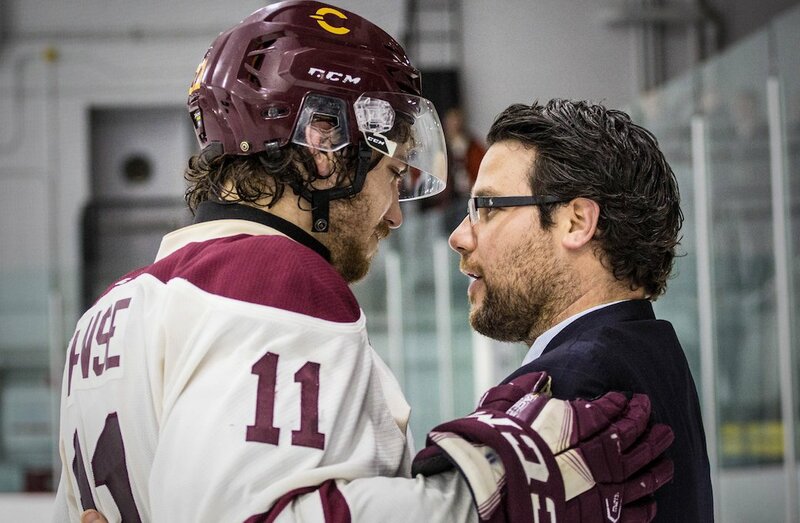 He has shared special moments at Concordia and is now sharing more of them in his second season as head coach, after serving as the interim bench boss for the 2015-16 season. For me it was kind of my second family. I have a lot of friends around the complex. I really like this program and I wanted to be the leader in the program and bring it to the next level. Element grew up in Val-d’Or in northern Quebec, and says he wanted to come to Concordia in the hockey mecca of Montreal to pursue his education and improve his English, as his hometown was mostly Francophone. His time at Concordia was not only special because of hockey, but also because it was where he met his wife. Element played at Concordia from 2006 to 2011 and was an assistant captain in the 2008-09 season before becoming captain in his last two years. 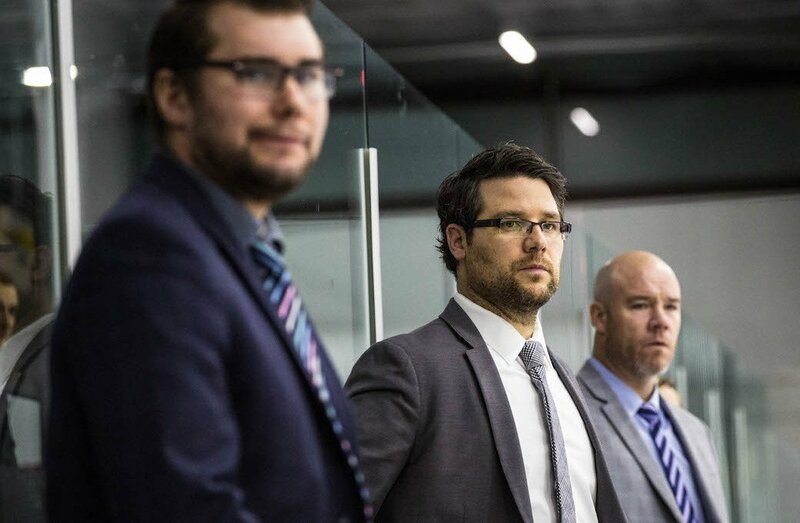 After graduating with a BA in human relations, Element didn’t leave Concordia behind, taking the role of assistant coach from 2011 to 2015, before he became the head coach with the Lachine Maroons in the Quebec Junior AAA Hockey League. Element says he has always been a leader in different ways, and learned a lot from his predecessor Kevin Figsby about how to be a true professional and leader on and off the ice. He believes he is not just a hockey coach, but also a life coach that will help his players succeed in life, in school and help them get to the places they want to go in the future. If they need a job after they graduate, I’m going to push for them and try to help them connect with people. For me, it’s truly important that we are the next step for them and not always just focusing on hockey, but on the workplace as well. Four-year forward and current team captain Phil Hudon says Element is commitment-driven, family-like and has taught him the importance of being more focused and professional in not just hockey, but in any other setting in his life. 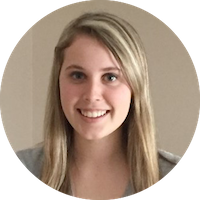 Rookie defenceman Carl Neill admires Element’s fairness, who believes it doesn’t matter what age you are or how long you have been on the team – if you are a successful performer, he will give you ice time. He said he also admires his honesty with his players, as they always know exactly what he expects of them and his ability to always be there by their side. Under Element, Concordia has become a story of success, seeing substantial improvement in the 2016-17 season when they placed second in the OUA east division, improving from their seventh-place finish in 2015-16. This year, the team sits sit in second once again with a 15-4-3 with six games to go in the regular season. When looking at the team’s transition into success, Hudon says it has a lot to do with how well Element recruited new players. He says he went out personally to talk to players in cities where there wasn’t a QMJHL team, as well as players from the OHL and WHL, and encouraged them to believe in the program’s turnaround. 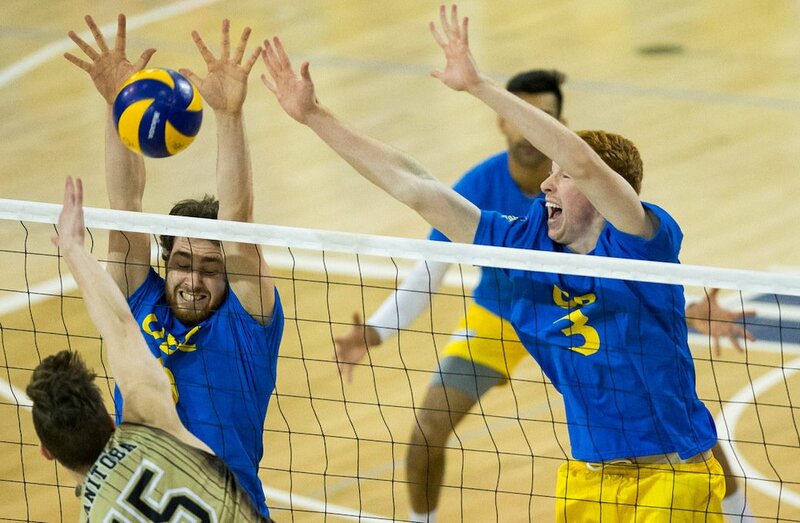 It was that first push of convincing and that determination to get the best players possible coming out of these leagues to get in on one single objective, to create a team that would soon go to (compete for U SPORTS) national championships. Element says when recruiting he doesn’t just look for the best players, but also the hard-working ones who are great people, great teammates and great student-athletes. Looking back on memories of his time as a Stinger, Element highlights the Corey Cup contest against the crosstown rival McGill Redmen in 2007 as one he will never forget. The game was held the Bell Centre, home of the Montreal Canadiens and set an OUA attendance record of 5,346 that still stands to this day. He also recalls the trips that Figsby planned to Europe where the team toured through Germany, Scotland and Ireland.